Pillow talk: Grandma's little loves. 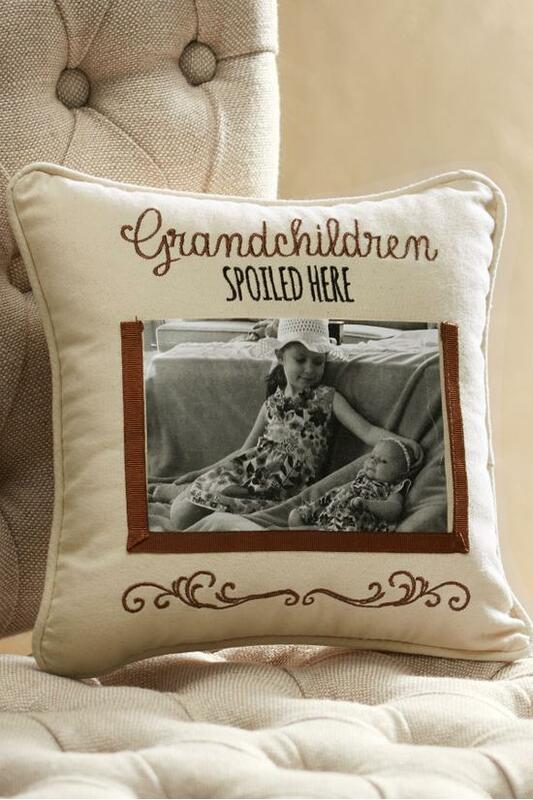 This charming embroidered toss pillow shares the worst-kept secret (to the delight of kids everywhere), "Grandchildren Spoiled Here". Crafted of softest cotton/linen with a 4" x 6" clear plastic photo sleeve to proudly display a pic of your little darlings. A wonderful gift for special grandfriends. In a versatile shade of tan. Includes 100% cotton cover, 100% polyester fill. 10" Square.